Do you enjoy playing dungeon-style RPG? Today we’ve got a game with a bit of a new twist. Perhaps better described as an RPG-style dungeon puzzle(?) 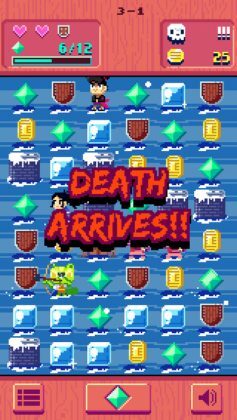 Swap Sword is a game based on three words, Swap To Kill!!! 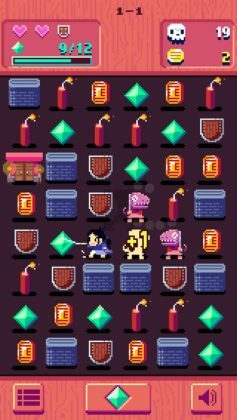 Summed up by pretty much this one gif, Swap Sword is played by swapping the position of objects around a puzzle board in order to kill enemies, match up pairs, create explosives and more. 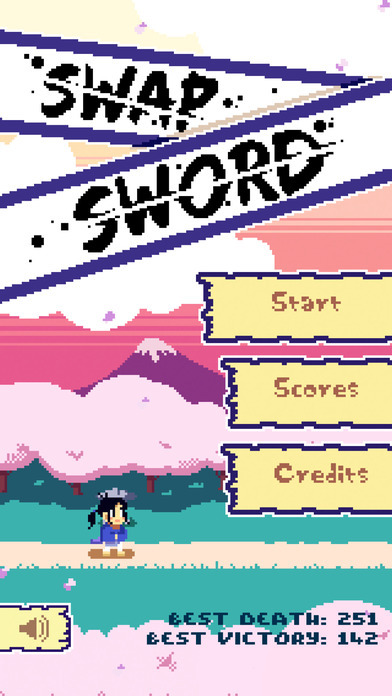 Swap Sword is a surprisingly challenging game you’ll have a hard time mastering. Not only can you swap the position of objects, enemies, etc. 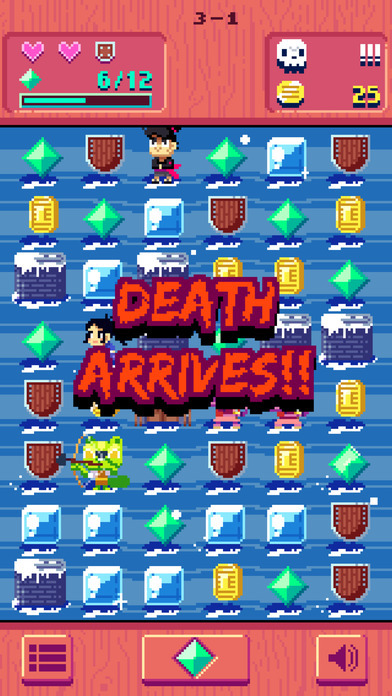 and your player, but you can also swap the positions of other objects as long as 3 or more “same objects” line up. If you manage to align three or more objects of the same type, depending on what type of object it is, it will affect your board in different ways. 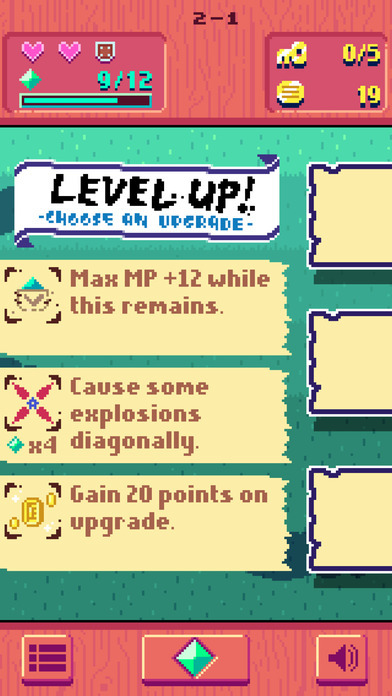 For instance, if you align 3 enemies they will all cancel each other out and vanish, whereas if you align 3 keys they will merge together and unlock the gate to the next level. There are 6 different types of blocks, each with their own differences and characteristics you’ll need to work with in order to clear each level. 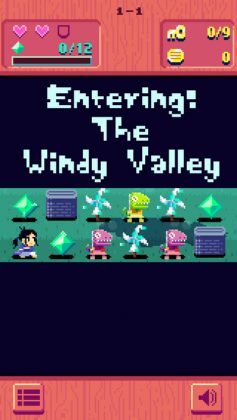 With nice retro graphics, a challenging gameplay system, and an unlimited number of puzzles, this game is for anyone who enjoys thinking about their next move for hours. 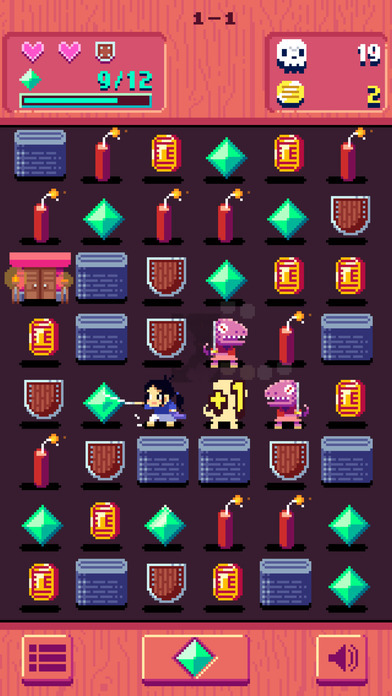 Do you need a new puzzle game you can pore over for hours? Swap Sword is an action-packed puzzle game which is both exciting and logical but does not require a super fast reaction time to play.